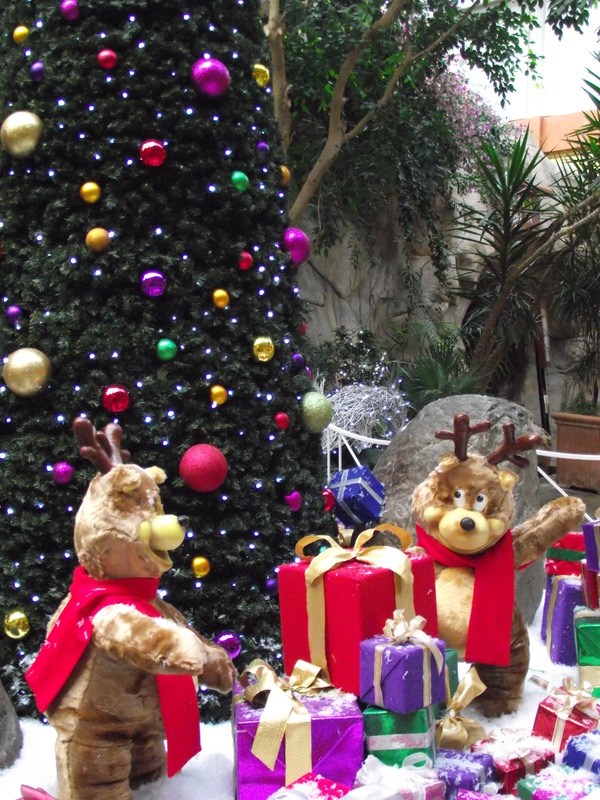 We have just returned from another really lovely break at Center Parcs. 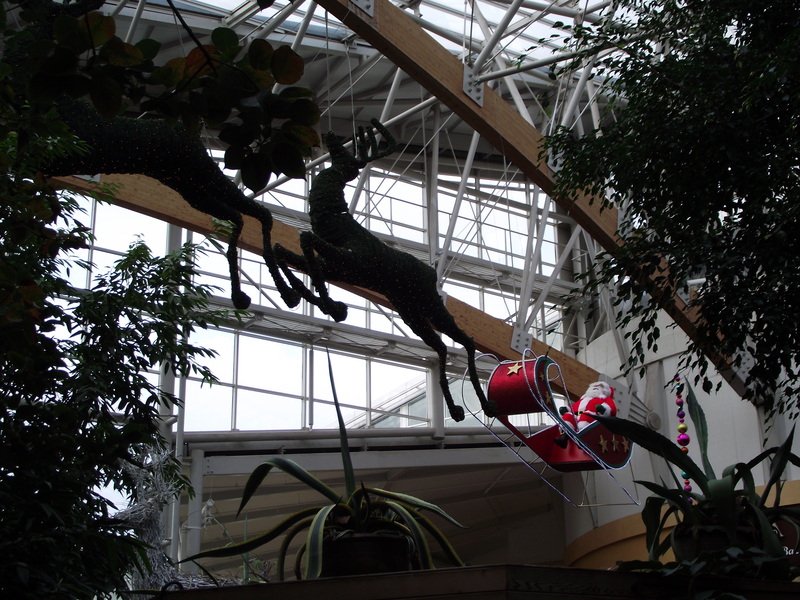 This time, we wanted to experience the Winter Wonderland they do each year, as the first part of our build-up to Christmas. 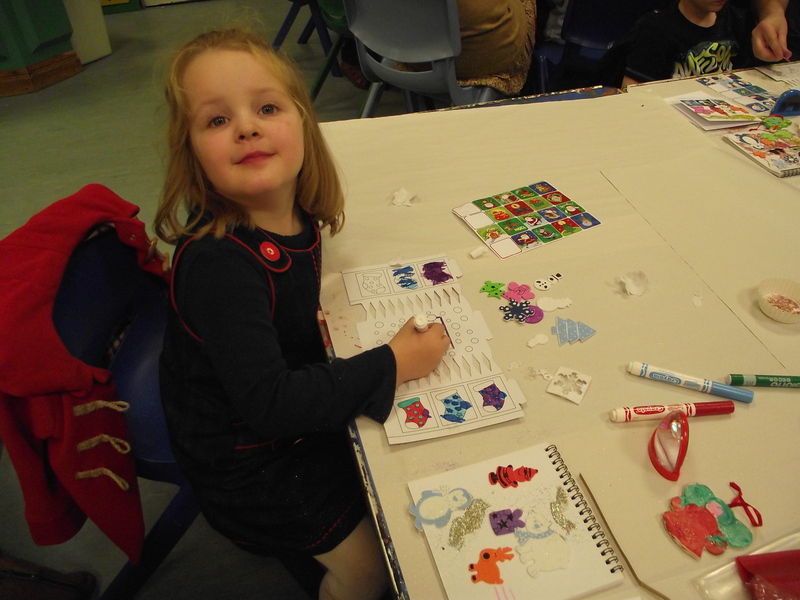 We had booked plenty of lovely Christmassy activities for Lilly to do, including Christmas pottery painting, a Santa and Snowman hunt and a Frosty the Snowman art session which involved lots of glitter and Christmas stickers! The weather at Whinfell Forest (Cumbria) was fabulous for the whole week – it only rained the day we left. The rest of the time it was crisp and sunny – perfect. We were very excited to hear that there was going to be a fireworks display on the second night at 5.30pm – conveniently timed before the girls’ bedtimes, which is usually about 6.30pm. It is only this year that Lilly has recovered from her total and utter terror of fireworks – in fact on November 5th Lilly actually ventured out into the neightbourhood with daddy to admire the fireworks… even the really loud ones! But this was her first proper display. 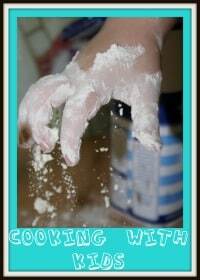 We had such a tiring day on the Tuesday – starting with pottery painting in the morning. Lilly chose to paint a snowman, a stocking and a Father Christmas shaped ornament for the tree. Technically there should have been a lot of red and white involved… but I think Lilly considered white a little bit too boring to paint much of – so snowman ended up with a red face and Santa’s beard is a very attractive mix of purple and green! But they do look rather lovely all the same – and once again I was so impressed with how delicate and detailed she can be when she tries! In the afternoon we’d gone swimming – which can be a bit of a military procedure with two little ones at the best of times. 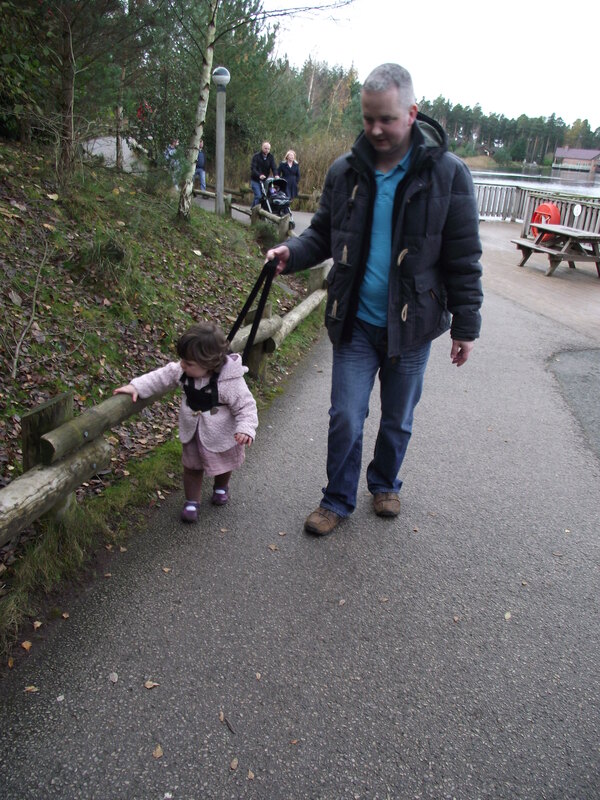 Everytime we have taken Isla swimming (on all our three previous visits to Center Parcs with her) she has hated it, where Lilly has always loved it. I think Isla has found it a bit of an overwhelming, noisy and hot experience. And at first when we took her in she was upset again and grizzly. So I sat with her in the baby pool and she sat on the edge with her feet in, playing happily with a bucket and a watering can for a while. Once she had acclimatised to the environment we tried taking her into the big pool – and this time, she actually seemed to quite like it! In fact, after a little while, she was giggling! It was a major breakthrough! Lilly’s favourite thing about the pool as always was going round the ‘rapids’ and dodging the water sprays (she calls the big one Mr Sprayer and the little one Mrs Sprayer!) She also liked swimming outside – which was rather cold, I must say! After the swimming we were all exhausted so decided to get a bite to eat in the village square instead of going home for tea and coming out again for the fireworks. It was a great plan (although an expensive one) – I was way too knackered to cook after all that exercise – and the timing was just perfect as the fireworks display started not long after we finished eating. 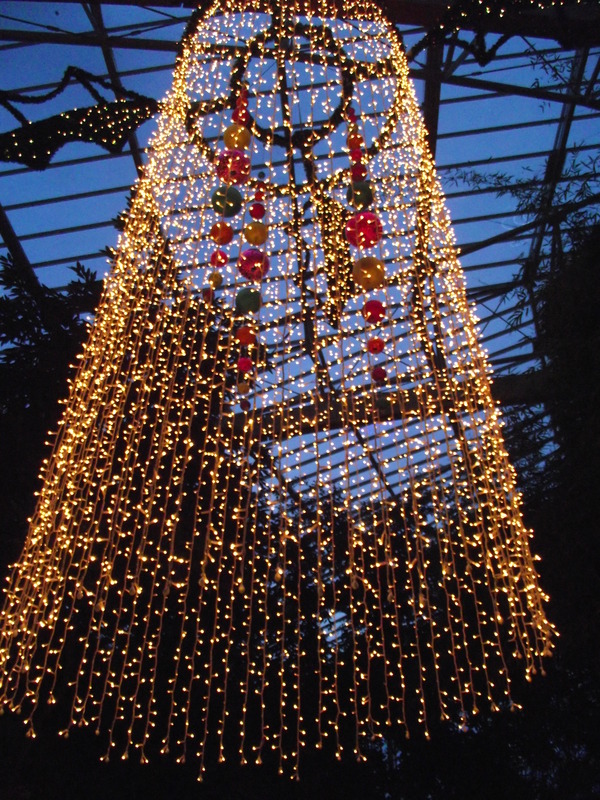 The display was brilliant – and all set to Christmas music. Watching Lilly’s face was the best thing for me – she was totally in awe of what she was seeing. Isla even tolerated the first few fireworks but once they started getting noisier she got upset and Tony took her back to the lodge. As Lilly and I walked home afterwards in the dark she was talking ten to the dozen about what she’d seen and what a “fantabulous” day she’d had. Such a wonderful thing. Isla is chuffed after doing a slide all by herself for the very first time! During the week we did plenty of walking and took in all the soft play areas Whinfell has to offer. 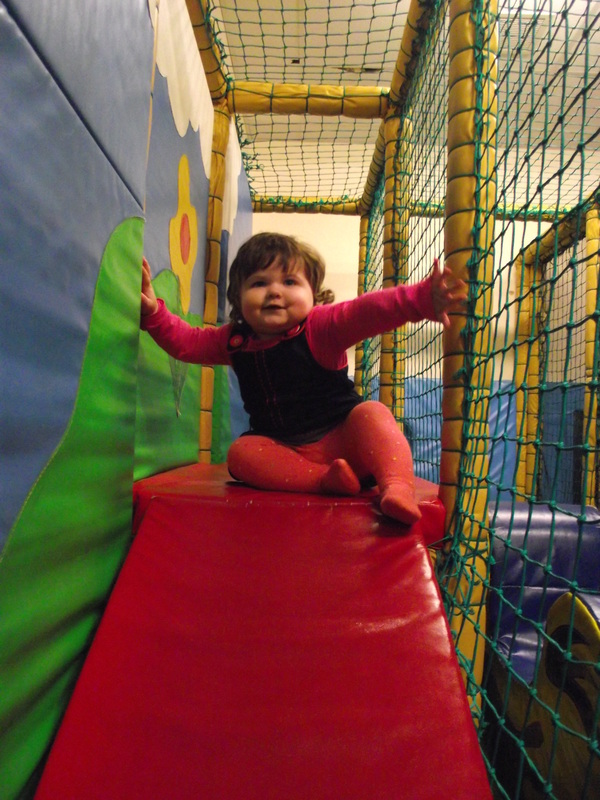 Isla climbed up and slid down a slide all by herself for the very first time – and was pleased as punch with herself as a result! It then meant that she got a little bit overconfident and wanted to follow Lilly into the ‘big girls” area of the soft play – which meant that I once again found myself six months preggers and flying down numerous ‘tunnel slides’ and crawling through too-tight spaces to rescue a child who was stuck! We also took part in the Santa and Snowman hunt which involved following a trail to find a series of Christmas related questions which we had to answer (some of them quite hard: name all of Santa’s reindeers being one of them… we *may* have had to google this…) At the end an elf gave Lilly a little prize for taking part and all the entries were entered into a draw… which we only won! 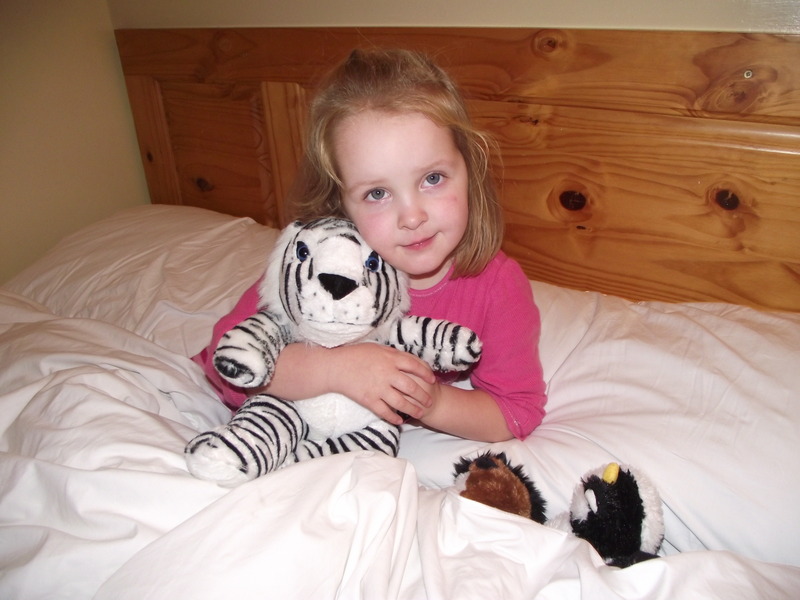 We had a phonecall later on to tell us that Lilly had won a teddy making session and we took her up to the Time Out Clubhouse where she chose a tiger toy, was helped to stuff it and then picked an outfit to dress it in. Being totally mad on soft toys this couldn’t have been better for Lilly! There were, of course, some stressful moments – Isla is at that stage where she only wants to walk and refuses to go in her pushchair. The only problem being, she doesn’t neccessarily want to walk in the same direction as everyone else and is rather prone to falling! Lilly moaned a lot because we didn’t get her a bike, and is possibly the world’s slowest dawdler at the best of times. And Isla was a little bit scared of the jet planes and Chinook which were practicing their flying overhead… although I loved them, I must say. Hubby wasn’t very happy because the nearest place to park the car while unloading was a fair trek from our lodge. 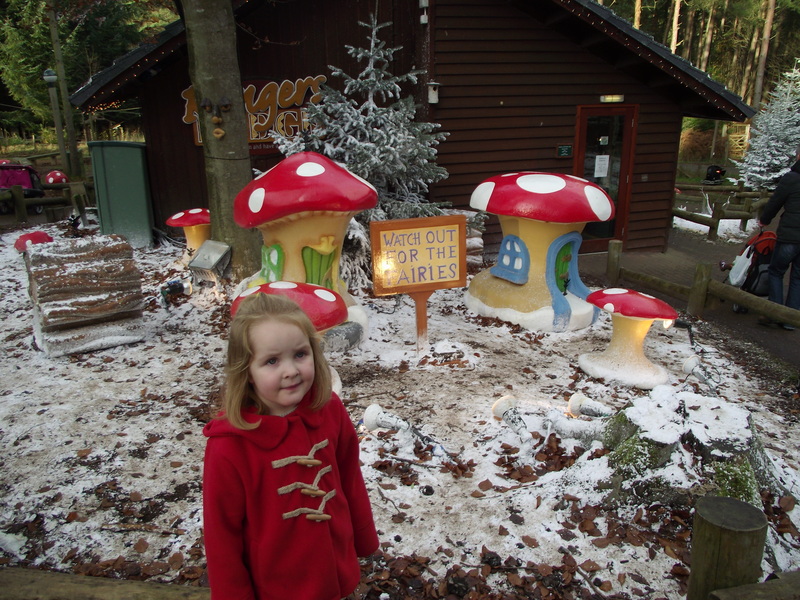 But all in all I would say this trip has to go down in my memory as our best trip to Center Parcs yet – and we’ve now been seven times (Elveden twice, Sherwood once, Whinfell four times)! But of course the main event of the whole week was saved for the afternoon of our last full day – a trip to see Father Christmas. 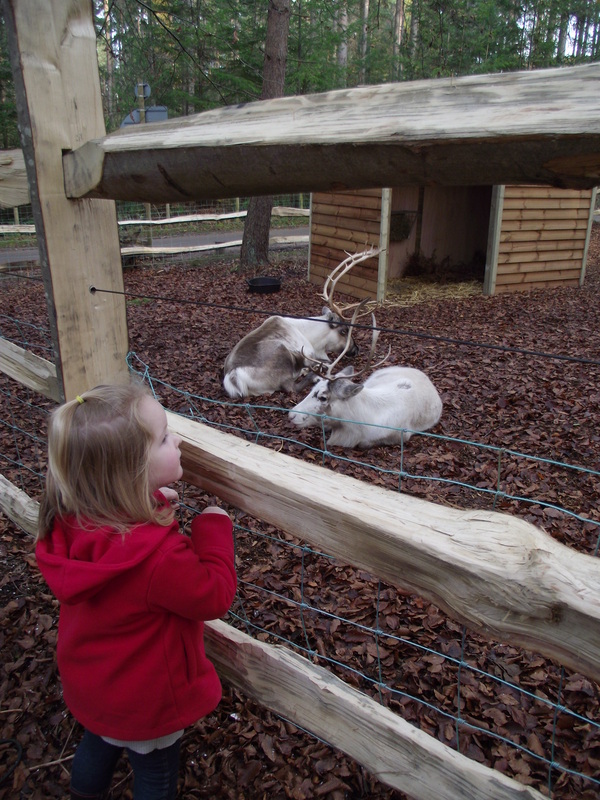 Wewere all really impressed with it… Father Christmas was very authentic and really lovely – it melted our hearts to see Lilly so happily chatting away to him while so obviously in awe! She asked him for a surprise – and he promised her he had “just the thing in mind” for her, before asking her what Isla would like – “erm, I think a baby toy” Lilly suggested. She was also very eager to tell Father Christmas that she had made a snowglobe with his picture in it at the art workshop. And Father Christmas asked the girls to leave out a carrot for Rudolph on Christmas Eve. Then he gave the girls a gift each – a cuddly horse for Isla and a cuddly cow for Lilly. This AMAZED Lilly as she had been asking for a cuddly cow a few weeks ago – and Isla goes crazy for horses. So it just goes to show: He knows, you know. So yes, we’re still big Center Parcs fans. And no, this isn’t a sponsored post! And it is so strange to think the next time we visit, there will be three children… yikes! And that this could potentially be the last time we’ll be visiting in term time… ouch! !